What a fun memory! 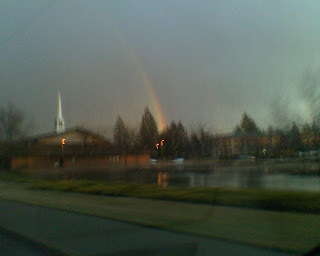 There was a stunning rainbow over downtown PDX this morning as I was driving in to work. That was a great start to the morning. 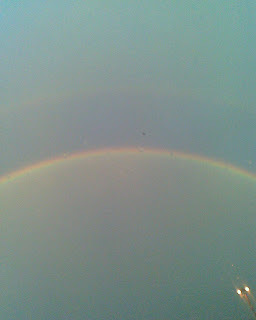 I saw a GIGANTIC rainbow yesterday...loved it! That is a fun memory. 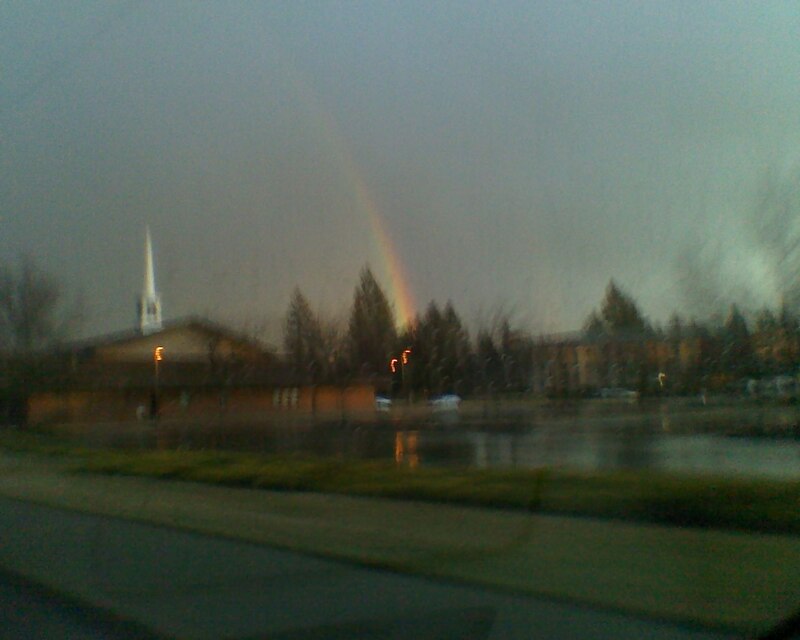 I personally thought there were Care Bears at the end of a rainbow..haha. 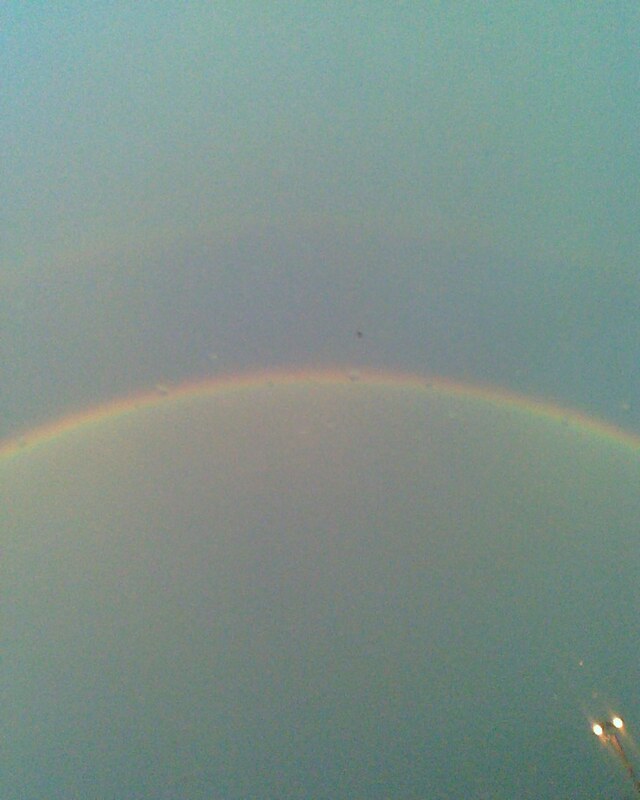 Yes, rainbows do remind me of Care Bears too. Can't believe I missed seeing that giant rainbow though. Hahaha. Care Bears. I love that. Yes. Your mother loves a rainbow and imagining that pot of gold, but all the while she knew that the real treasure was already in the car with her.